The search for Supreme Court Justice Anthony Kennedy's replacement has begun. 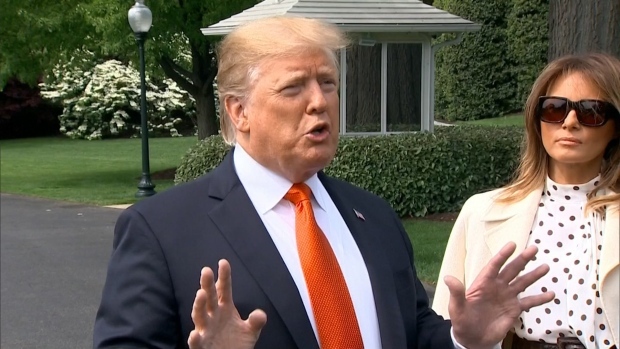 President Donald Trump said Wednesday he'll choose a replacement from "an excellent list" of 25 candidates. Kennedy on Wednesday announced his retirement after three decades on the court, giving Trump a chance to solidify a conservative majority on the high court. Doing so was one of his campaign promises in 2016. His confirmation of Justice Neil Gorsuch last year was considered a key victory by anti-abortion groups and other conservatives. 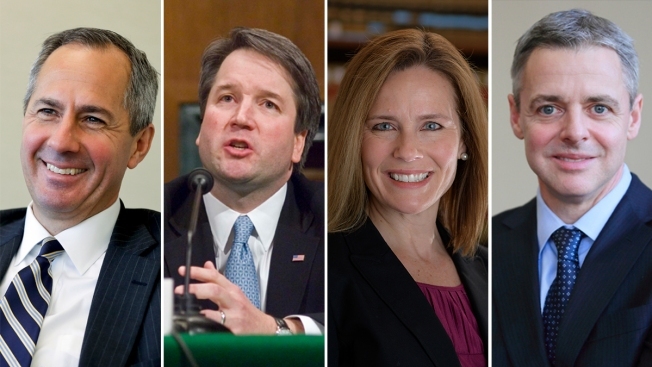 A look at a few judges who are considered to be top candidates to replace the 81-year-old Kennedy. All appear on Trump's list. Hardiman went to the University of Notre Dame as the first person in his family to go to college. He financed his law degree at the Georgetown University Law Center by driving a taxi. He became a federal district judge at 37 and was appointed to the 3rd Circuit in 2007. He turns 53 on July 8. Hardiman has sided with jails seeking to strip-search inmates arrested for even minor offenses and has supported gun rights. He dissented in a 2013 case that upheld a New Jersey law to strengthen requirements for carrying a handgun in public. A Massachusetts native, Hardiman settled in Pittsburgh, where his wife comes from a family of prominent Democrats. The federal appeals court judge from Summit, New Jersey, graduated from the University of Michigan and its law school. He was counsel to Republican Sen. Spencer Abraham of Michigan until 1997 and clerked for Kennedy the following year. He was nominated to the 6th U.S. Circuit Court of Appeals in 2006. He's 51. The appellate court judge from New Orleans, born in 1972, graduated from Rhodes College and Notre Dame Law School. She clerked for Supreme Court Justice Antonin Scalia in 1998 and served as a law professor at her alma mater, George Washington University and the University of Virginia. The Yale-educated appellate court judge for the District of Columbia recently wrote a dissent when his colleagues allowed an immigrant teen in U.S. custody to have an abortion. The 52-year-old Kavanaugh also clerked for Justice Kennedy. Kavanaugh served as an associate independent counsel during the Whitewater investigation into the Clintons' land deal, as well as in the White House under President George W. Bush. He's 53. The federal appeals court judge from Kentucky is close to Senate Majority Leader Mitch McConnell. He's an alumnus of Boston College and the University of California, Berkeley, law school. Thapar was the first judge nominated by Trump to a district or appeals court. He's 49. The federal appeals court judge from Mobile, Alabama, is also a former attorney general of the state and an alumnus of Northeast Louisiana University and Tulane University law school. In 2003, he called for the removal of Alabama Chief Justice Roy Moore, who had refused a federal court order to remove the Ten Commandments from a judicial building. Trump backed Moore in a Senate race last year despite charges of sexual misconduct with young women. Moore lost the race. President George W. Bush nominated Pryor to the federal appellate court in 2004. President Barack Obama named him to the U.S. Sentencing Commission in 2013. Pryor is 56.